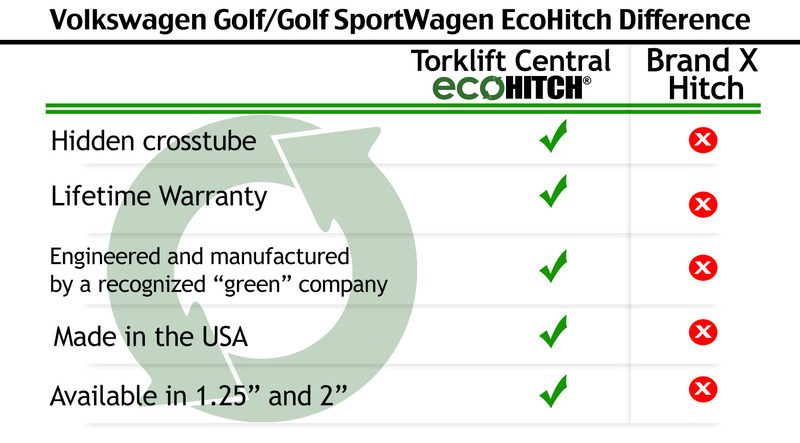 Rated for 300 pounds tongue weight and 2,000 pounds towing weight, the EcoHitch for VW Golf GTI has the strength to keep up with any adventure you go on. With your stylish and sporty VW Golf GTI, there’s never a dull moment when you’re at the wheel. You need a trailer hitch for your VW Golf GTI that is just as unique as your GTI. A perfect example of how a hatchback can have tons of versatility, we’ve manufactured a perfect complement to your car with this hitch for Golf GTI. The best part? Only the receiver is visible when the car hitch is installed.